This is a Telecom New Zealand Post Office type 200 desk telephone known as a 'pert'. 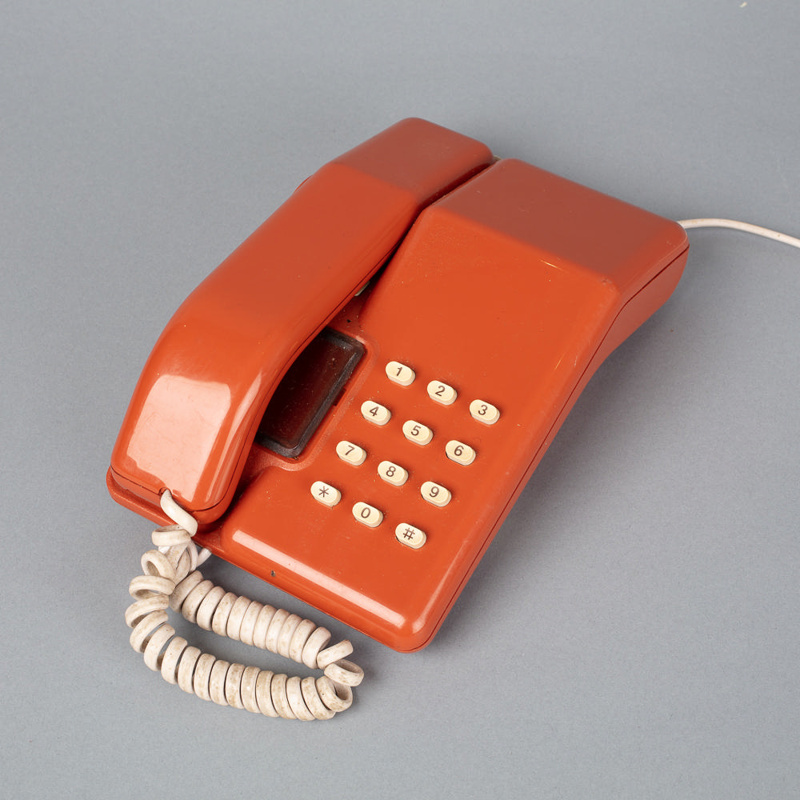 It was designed in England and manufactured by Standard Telephones and Cables in New Zealand in 1982. 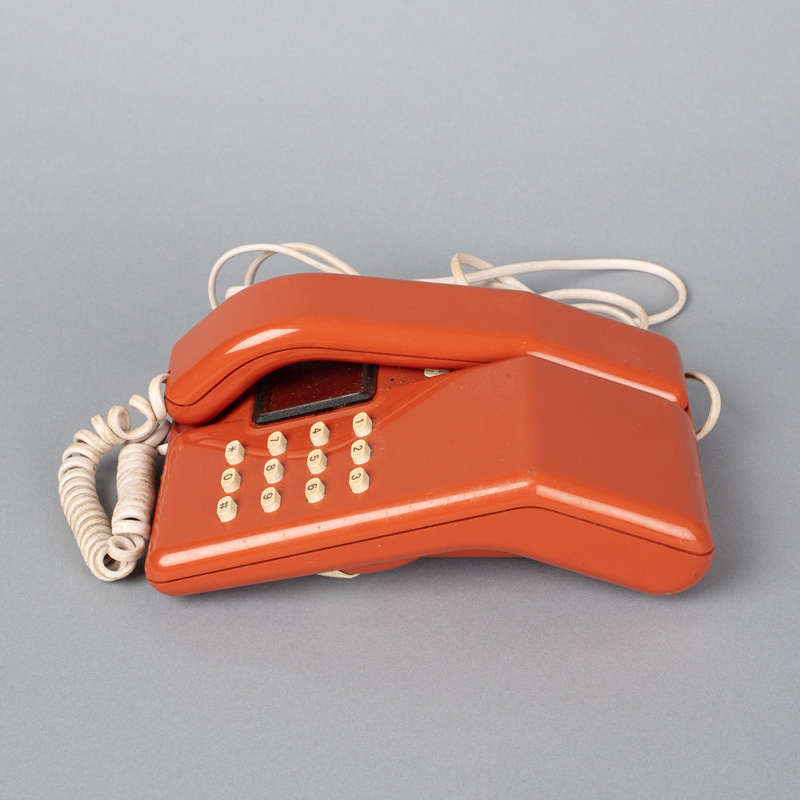 Incorporating a push button keypad, rather than a dial, its clean modern lines and bold colours quickly established it as a popular domestic model.